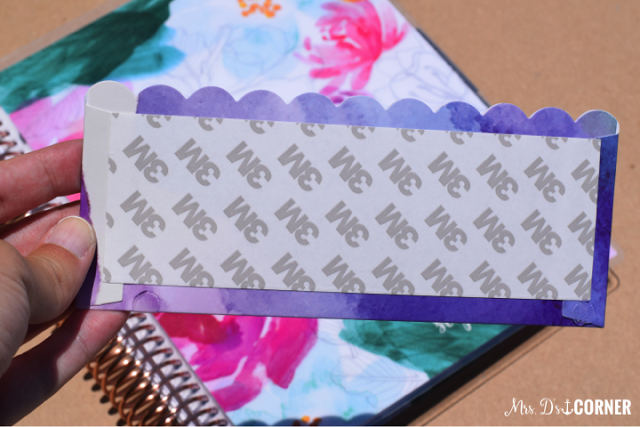 My affinity for all things Erin Condren is not new… so when the new Back to School line came out, you know I was all over that. The one thing I really like about EC products, besides the versatility and quality, is that the products she sells are functional for real life and school life. When I received this box of goodies, my teacher mind immediately went crazy! Good crazy. I’m so excited I just can’t hide it crazy. Let’s just start with this adorable, easy to grab and go to a faculty meeting notebook. 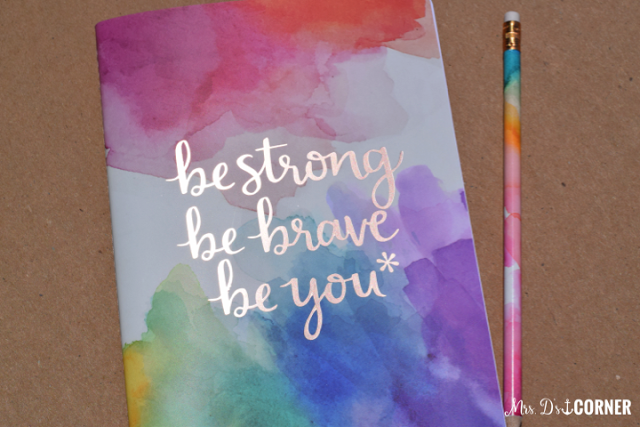 Watercolor is so in right now too! Let me just say that I am pretty much the perfect split of the Type A and Type B teacher. It all depends on the day. 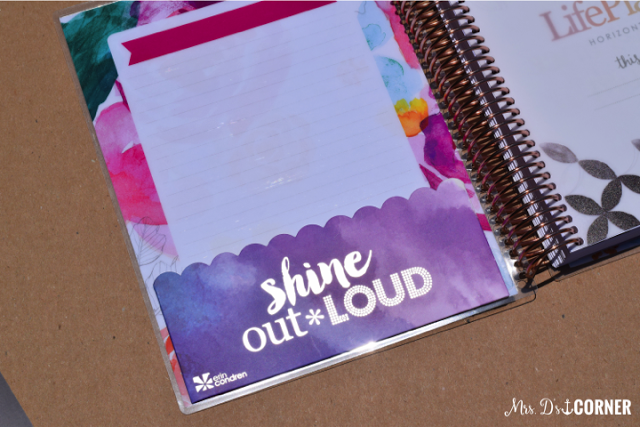 But the Type A teacher in me can just see me walking down the halls [on time] to the faculty meeting on Wednesday at 3:30PM after a long day of teaching with this notebook in hand, ready to listen and take notes. And then the Type B teacher in me says, “Yeah right girl, you aren’t going to be taking any notes!” HA! At least I’ll look super cool and get brownie points for attempting to be prepared and ready to listen. PS. Those adorable pencils… yeah, those pencils… they come pre-sharpened for you. 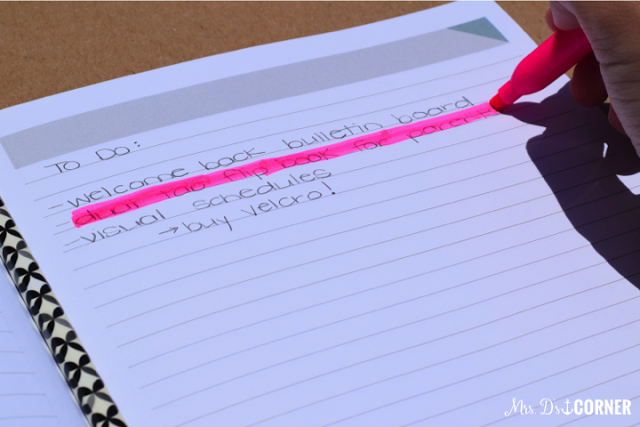 Depending on how many notes you take at a meeting… or notes you write to the teacher the next table over… it might not be enough to last you an entire school year. Enter the slightly larger notebook. 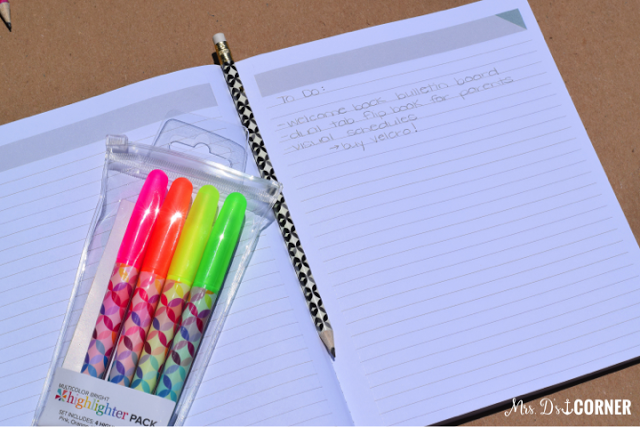 The it’ll still fit in your purse, slightly larger notebook. The “I’m not going to lie, this is my true state of mind at a faculty meeting” slightly larger notebook. I feel like it really has enough paper to last the entire school year of meetings. 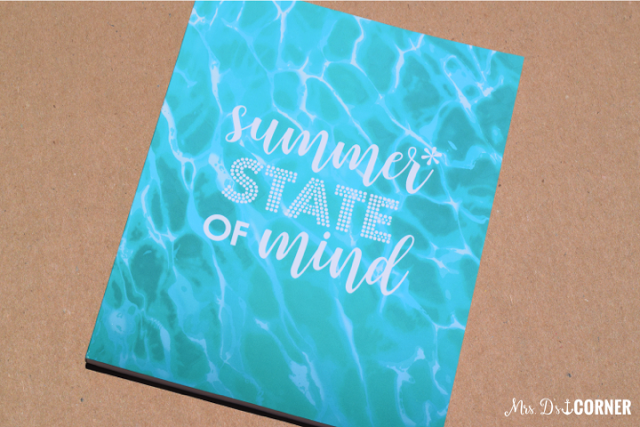 I have already started my back to school to do list… and while it seems short right now, at least I can check off making my dual tab flip books for Meet the Teacher Night. I wish I could heart-eye emoji these folders all day long… seriously! 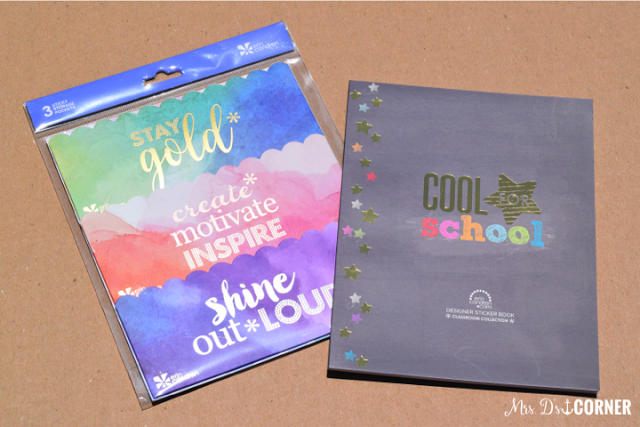 Okay… if you already own an EC Life Planner I am about to change your world with just two things: Sticky back pockets and a book of stickers. 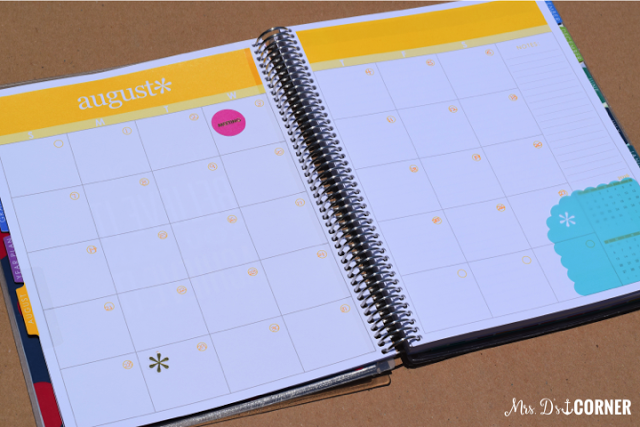 …that perfectly fits right inside of your EC Life Planner. You could totally use one in your EC Teacher Lesson Planner too. 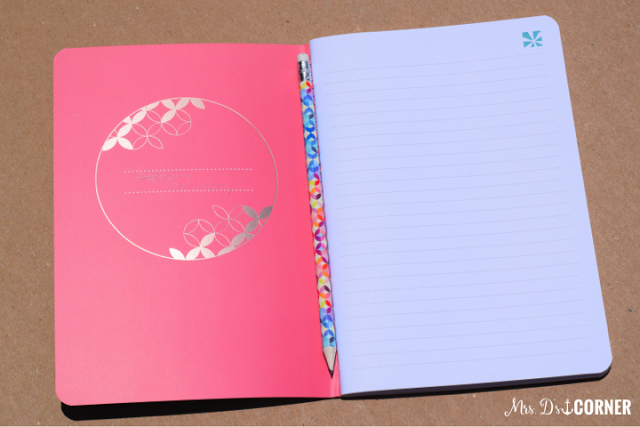 Watch a video comparison of the Life Planner and Lesson Planner here. The stickers inside of the sticker book are just gorgeous all on their own. 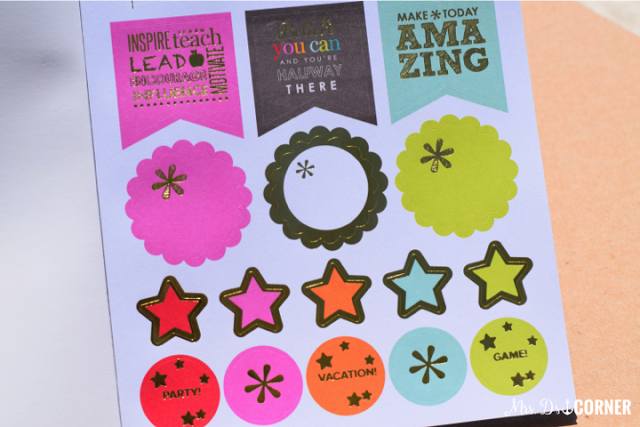 Now I wouldn’t say this book of stickers is an end all to buying every single sticker you need for your planners, but they will certainly help you spice up your planning. Despite me being lazy and not adding on the number stickers to my EC Teacher Lesson Planner yet, the stickers just pop! 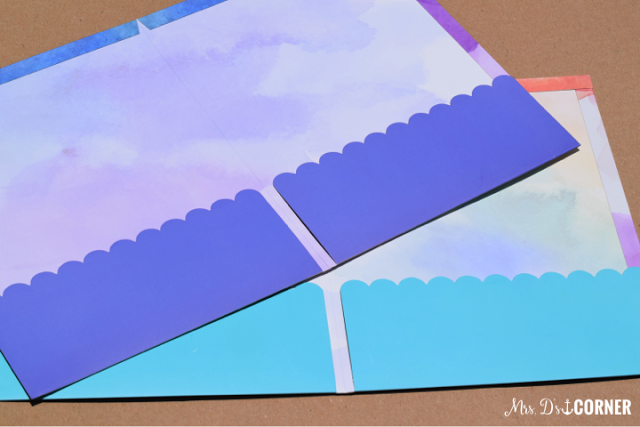 You can read all about my Lesson Planner reveal here. Last but not least are the compliment cards. Before you go all “I don’t need those, who has time! ?” on me, let’s take a look at them. 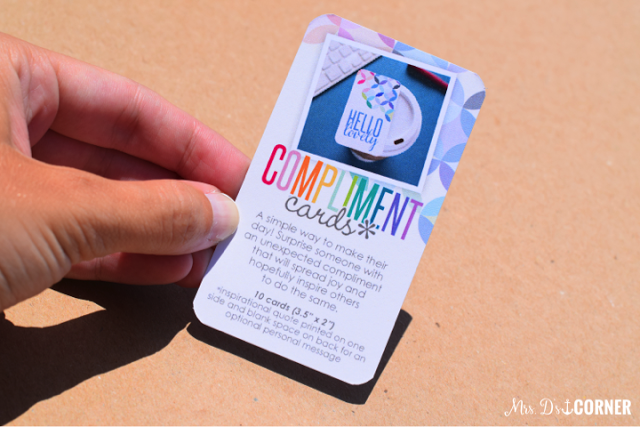 You get 12 compliment cards in one pack (I believe there are different packs available on the EC website. 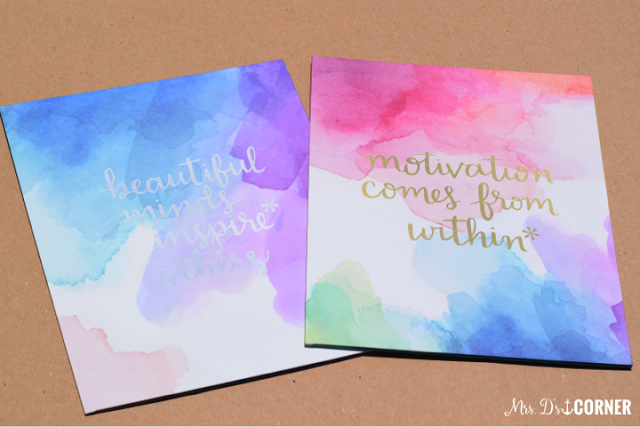 The inspirational quotes and text on this set of compliment cards is perfect for teachers. You know that quote “the person who feels appreciated will always do more than what is expected”? 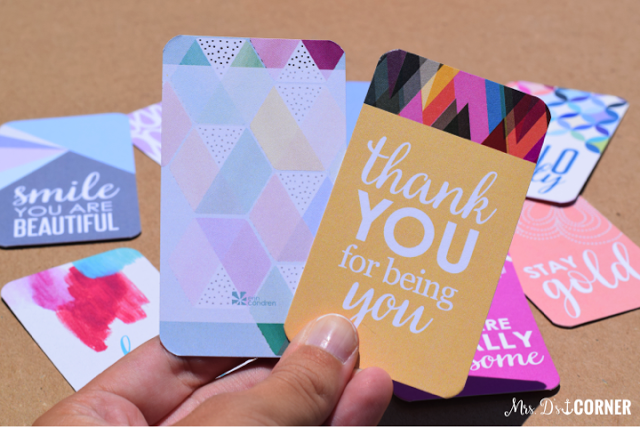 Yeah… these cards will definitely help spread kindness and appreciation! 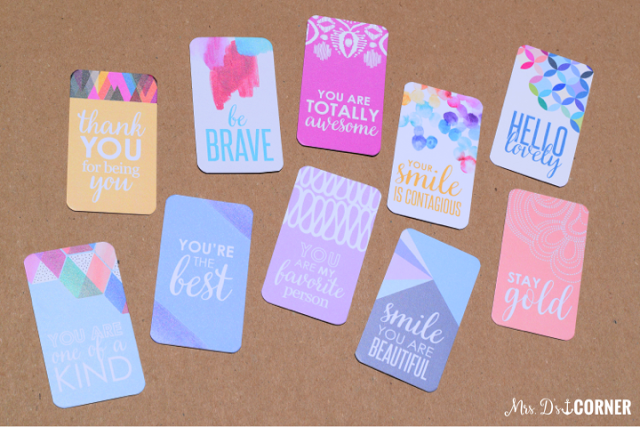 Each card has space on the back to write a quick note. You could leave a compliment card in your team teacher’s mailbox or on her desk, or go the distance and pay it forward with coffee and a card. Want $10 off of your purchase? Use my referral link to sign up now and receive $10 off of your first order. Love your type A and type B crossovers!! These are amazing, I need to get myself over to her store! I love the highlighters that don't bleed through paper. Thanks for showing us all the new products. I guess it is time to go shopping. I love the sticky pockets! How clever! I love the notebook! This would be great for a handy one to take to all my meetings! 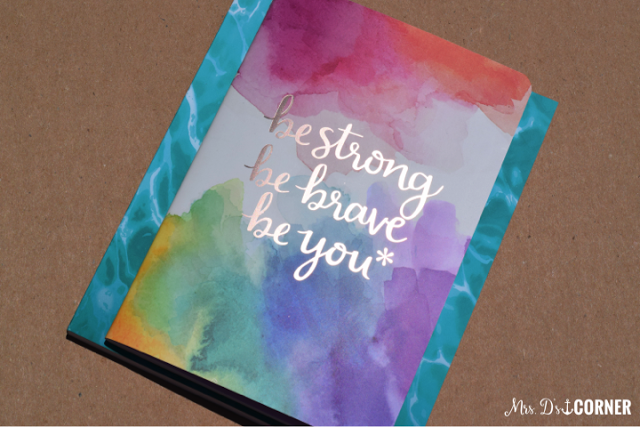 I LOVE the notebooks!! Thanks for the opportunity! 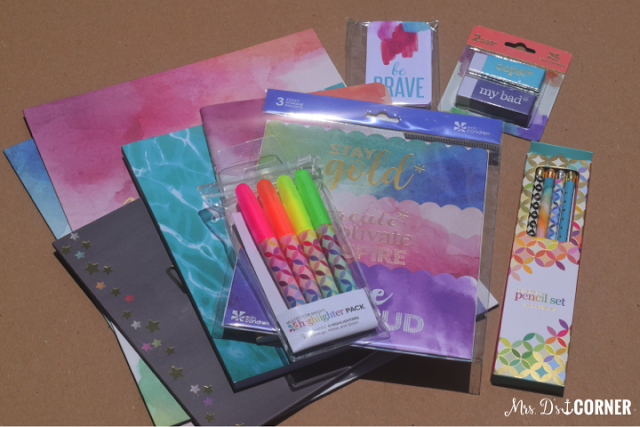 I like the planner and the stickers! I love the life planners! I cannot wait to get my own! Oh those sticky pockets… so cute! I love the cards, how easy to give out and recognize others!